Back in Black has meant different things to me over the course of forty(mumble-mumble) years. In my childhood, the album represented scandal. My dad hated the color black, which meant this album got his withering disapproval. The mock calligraphy of the band’s logo surely meant something altogether unseemly, and didn’t AC/DC stand for “After Christ/Devil Comes?” That was just too much for my devoutly Catholic parents. But my brother took it all in. Asia, Blue Oyster Cult, Foreigner, Toto, AC/DC — it seemed pretty rebellious to me. 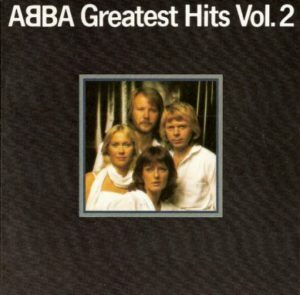 I stuck with ABBA and Manhattan Transfer. In my teen-aged years, the album represented stagnation. I had become an insufferable post-punk, and I sneered at classic rock. The future was R.E.M., the Dead Milkmen, Camper Van Beethoven. 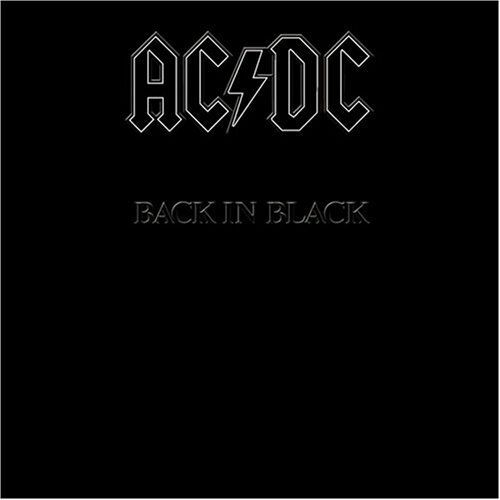 If you listened to AC/DC, you were stuck in the past and had no clue. In my early adulthood, the album was persona-non-grata. There was all this Japanese indie rock to explore. And all the music festival buzz bands. And a few local bands who put on great shows. AC/DC? I’m not their target market. They’ve got enough fans to earn them coin. They don’t need my cash. Today, Back in Black, for me, is that-one-album-you-get-from-a-band-of-which-you’re-not-a-fan. You know the one: Oh, Inverted World, Storm Front, Born in the USA, White Blood Cells. It’s the album that transcends any misgivings you may have about a band. AC/DC hew close to the blues-based tradition forged by the Rolling Stones and Led Zeppelin, a tradition rejected by the punk-rooted bands of my formative years. But Back in Black struck that fine balance between rock ‘n’ roll grit and pop radio polish that allowed the album to belong to more than just than fans. Even if you didn’t like blues-based rock, it was hard to get the riff that started side two out of your head. 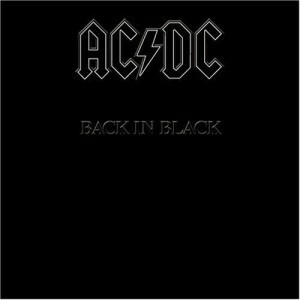 Back in Black didn’t convince me to become an AC/DC devotee, but it also helped me not to dismiss them out of hand. I may never become their target market, but at the very least, I’m a fan of something they made.